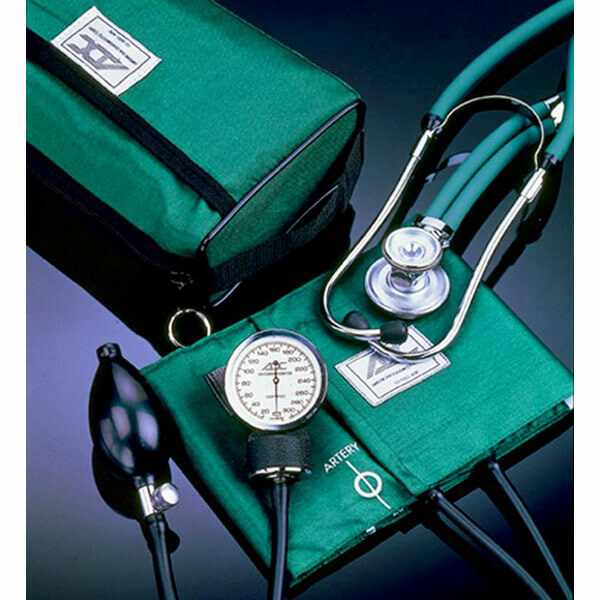 Pro's Combo II Kit Cuff and stethoscope kit has a color-coordinated professional sphygmomanometer and Sprague-Rappaport-type stethoscope. ADCUFF calibrated nylon cuff with Size Guide and gauge holder pocket features a black enamel 300 mmHg, no-pin stop manometer and nickle plated air release valve. Latex inflation bladder and bulb. Stethoscope can be used with adults, children and infants. Threaded chestpiece has two interchangable diaphragms and three bells for detection of high-, middle- and low-frequency sounds. Double tubing for acoustic separation. Includes 1 pair of mushroom eartips, 1 pair of rubber eartips, and 10" L x 6" W x 3"D color-coordinated, nylon carring case. 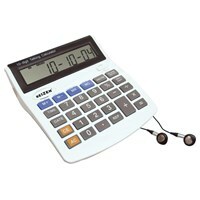 2-year inflation system warranty and 20-year calibration warranty.